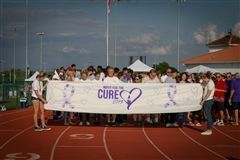 Night for the Cure Event Raises $30,000! Founded in 1912, Montverde Academy is an elite college preparatory school for grades Pre-K3 through post-graduate studies with a distinct student population from more than 90 countries worldwide. With nearly 1,400 students, the Montverde Academy community inspires students to become knowledgeable leaders with global vision, a passion for learning, and strong character development in a disciplined and diverse community. A look at our daily life in lower, middle, and upper school will reveal students and staff who are driven by a shared commitment both to excellence and to each other. Our relationships in each division support students and their achievements as they prepare to take the next step in their educational journey. Montverde Academy’s athletic programs encourage students at all levels to develop healthy exercise habits, increase self-esteem and stress the importance of sportsmanship while enjoying the challenges of competition. Academy athletes are able to utilize a 15-acre athletic field that includes a 400-meter running track, soccer field, baseball diamond, and eight tennis courts. Our state-of-the-art athletic facility includes an eight-lane track with a field used by our 6x #1 nationally ranked soccer team, tennis courts, baseball, softball and practice fields. Montverde Academy has a student life that is abundant in diversity, culture and a variety of interests. With approximately 836 students in the upper school and 354 boarding students from more than 90 nations, we utilize a wide range of activities that encompass the entire Orlando area and sometimes beyond. Whether it be an on campus festival, malls, movie theaters or the Orlando theme parks we try to keep our students engaged as much as possible outside the classroom in order to allow them to grow through personal experiences. The Montverde Fund encompasses all of our annual giving programs here at the Academy and serves to advance our institution in areas that tuition dollars alone cannot support. Your gift helps ensure that programs, facilities, and future growth for both students and faculty can become a reality! During Upper School assembly, featured speaker Lea Tran, shared her compelling story with the audience. Mrs. Tran is a native of Vietnam who fled from her country in 1979 to the United States as a “boat person.” She shared her story of the challenges she and her family faced as they built her life from refugee of a war-ravaged country to acclimating to life in the United States. She described her journey as she overcame adversity to graduate from Villanova University and pursue a career as an organic chemist, co-inventing several patents on anti-HIV drug discovery and development to business owner, to her current position at the South Lake Tablet, an online news forum. Her presentation at assembly can be seen here and her TedxEustis talk can be seen here.